Today I will be talking about fall accessories, and to be more specific, about hats. For the last couple of years the biggest trend was beanies, especially with pom pom. This year everything changed. Berets are back, yes you read it correctly! A soft, brimless cap, round in shape is making a great comeback. If your mom still has one you can borrow it, if not you can buy yourself one in any store. They do come in variety of colors, and I even saw faux pearls beret (if you are not owning a piece of clothing with pearls on it, you are not following current fashion trend) and sequin beret. I will be honest with you, I never was a big fan of berets, and if you are like me I have an option two. This hat has a lot of different names. My husband says that I look like a conductor in it, but I prefer a cabby driver. Thats were the names are coming from, professions: cabby hat, fisherman cap, baker boy cap, lieutenant cap. Different names, but same style. 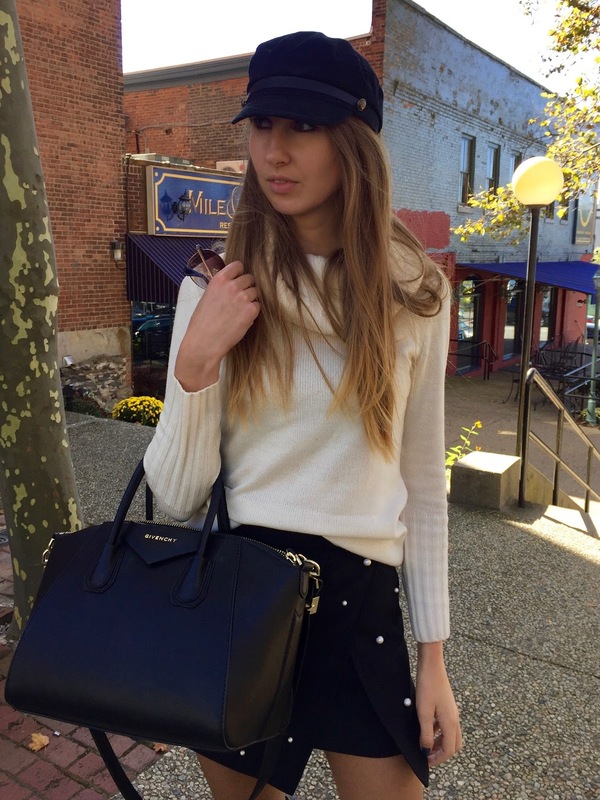 See how I styled this hat below and I also linked them at the bottom of the page! Whatever hat you choose this season, remember to stay warm!